On the day of the escape, Matt and Sweat try to avoid mistakes. As the law closes in, all are confronted with hard truths. Tilly begins to feel guilty about her mounting indiscretions. 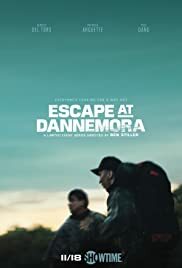 How many episodes of Escape at Dannemora have you seen? Q: Anybody can help with the soundtrack? Nothing Ben Stiller has ever done before or behind the camera could prepare you for the utter brilliance of his directorial achievement in this amazing series. 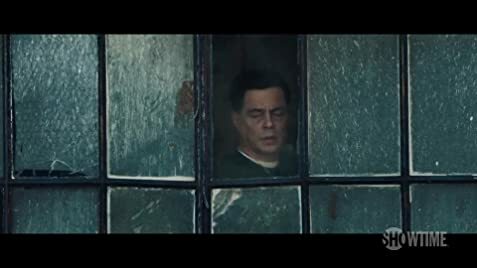 His work with the actors is phenomenal, and his camera placement and movement is inspired. It's a thrilling series, with superb performances by all, with special mention for Patricia Arquette, who makes you completely get the double meaning of the title. Yes, the story is about a prison "escape." but it's also about Tilly (Arquette's character) trying to escape her dead-end existence. Memorable. Must-see. Award-worthy. 86 of 98 people found this review helpful. Was this review helpful to you?